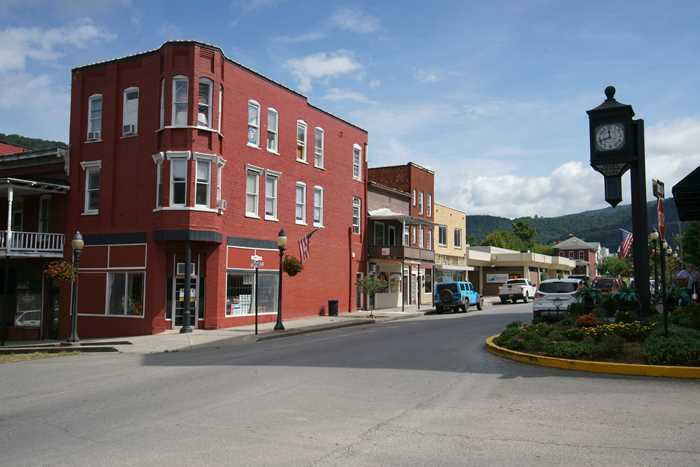 Plunge deep into the hills of southern West Virginia, and you’ll find some interesting small towns. 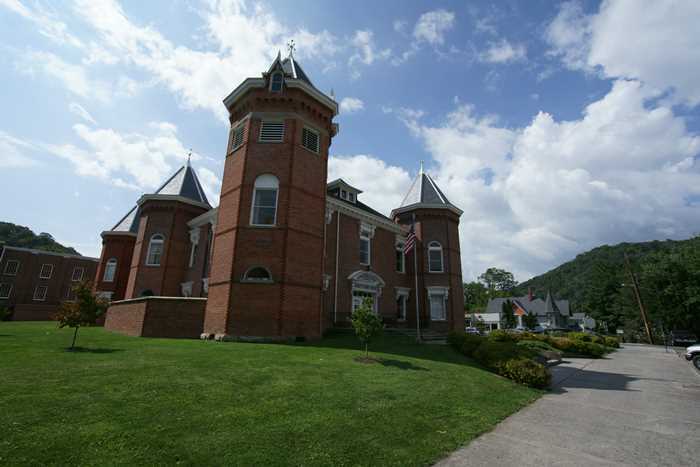 One place that’s worth some exploration is Hinton, West Virginia – a city that owes its history to the New and Greenbrier Rivers, and the railroad tracks that trace those waterways through the mountains. Best of all, it has a downtown that still feels alive and inviting. From Interstate 64, take the Sandstone/Hinton exit, and head south on WV Route 20. Hinton is about 9 miles south of the interstate. Be aware that this is a curvy, mountainous 2-lane road. Alternatively, from Beckley, you can take a more mountainous route to Hinton, via WV Route 3 through Shady Spring and Jumping Branch. … about a block away from Hinton’s business district. Before driving over to Hinton, I had spent my morning in downtown Beckley, and I must admit, Hinton has a much nicer downtown. It still feels very authentic and historic, and while I’m sure some original buildings are gone, it doesn’t feel like things are missing. St. Patrick’s Church is another beautiful red-brick building worth seeing. It dates back to around 1880. 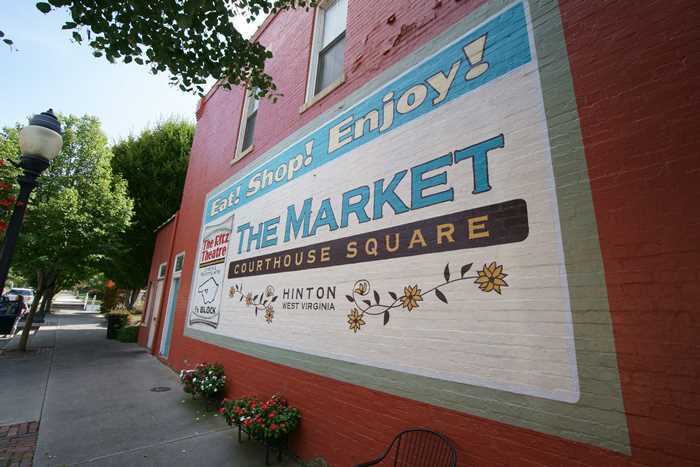 A new ghost sign advertises The Market – Courthouse Square. It ranks as the #1 restaurant in Hinton, West Virginia on Tripadvisor. 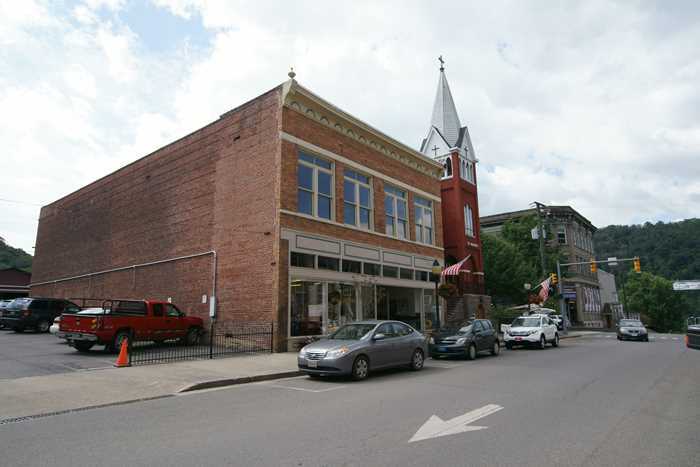 Hinton’s downtown seemed lively (once again, I’m comparing it to Beckley), and a lot of its storefronts still appear to be in business. During my last visit in 2008, I noted that the old Hinton Taxi Company (Phone 200) ghost sign is one of the coolest things in Hinton, but the ugly sign for The Hair Place is kinda ruining the whole thing. Much to my amazement, nine years later, the old ghost sign has been repainted, making it look more beautiful than ever, but the ugly salon sign remains. Sometimes things just don’t make sense. 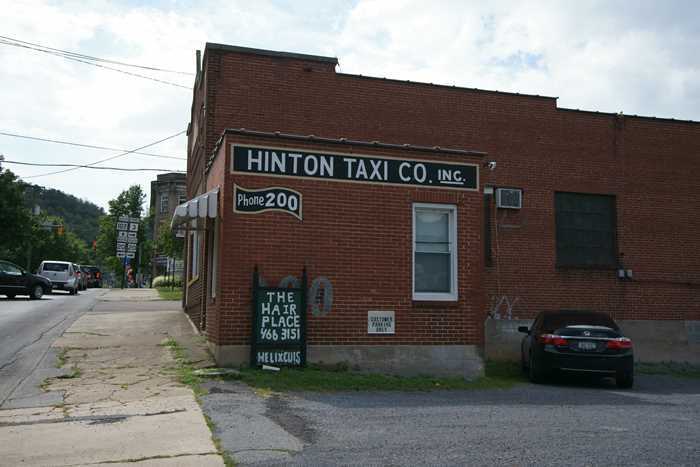 Hinton’s train station is located down the hill from the Taxi Company building, on 2nd Avenue — but it’s hidden. You won’t see it unless you drive all the way down there. Hinton is served by Amtrak’s Cardinal line, with service three times a week. It’s an 8-hour ride to Washington, D.C.
… in a dining room that’s perched over the river. 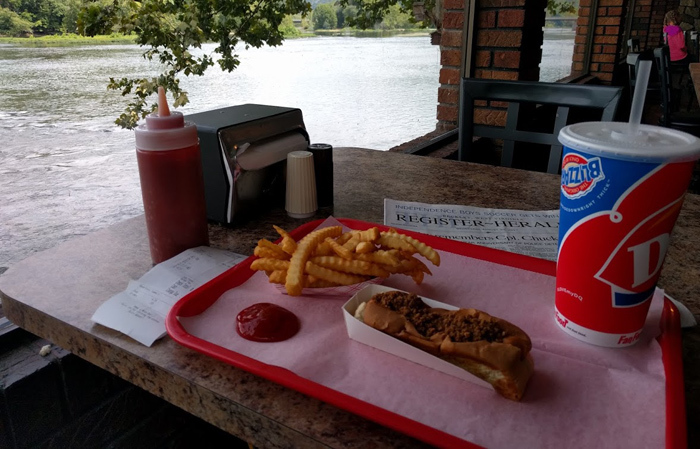 And there’s only one thing to order here — a chili dog. It has a very loyal following and has even demanded the attention of the West Virginia Hot Dog Blog. 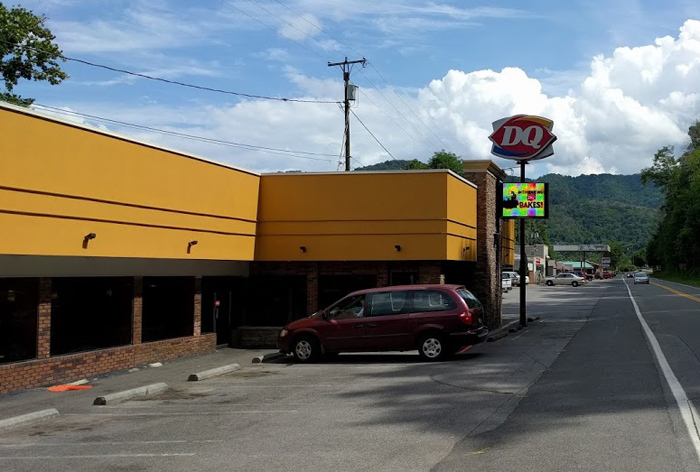 But, many of the comments on that blog seem to agree, the Hinton DQ Hot Dog isn’t what it used to be. Yeah, I ate one. It was probably the first hot dog I had eaten in a decade or two. And it will probably be the last hot dog I’ll eat for a decade or two. It was just okay, nothing special. From Hinton, I’d highly suggest driving on to Talcott, to pay homage to John Henry. Filled with nitrates and ready to explore, Talcott was my next stop. Hinton’s downtown is tiny and historic but still feels lively and welcoming. If you don’t mind the curvy detour off Interstate 64, it’s worth a visit.